The world is too much with John Deal, once the very model of a genre swashbuckler (Bone Key, 2002, etc.). He used to deliver his punches and punchlines with maximum panache. But now the Zeitgeist seems to have passed him by. Maybe it’s all that white-collar effort put into refurbishing the reputation of the Miami-based construction firm his flamboyant dad founded, then almost ruined. His eighth finds him desultorily finishing up a Key West job, sounding annoyingly Zen-like, when fed-up Fate decides to take a hand. Suddenly, picturesque people are evincing interest in John. Angie Marsh, who sports “matching dimples at her breastbones,” kick-starts his libido in a most un-Zen-like way. Then there’s the mysterious Antonio Fuentes, dedicated, he insists, to making John a rich man. Impressed by the growing reputation of DealCo, he asks John to travel to Havana with him to research the development possibilities of Cuba-after-Castro—waving about a million-dollar certified check as earnest money. 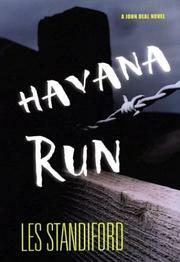 But the entrepreneurial Mr. Fuentes isn’t the only mysterious person wanting John to make the Havana run. So does the Department of Justice’s enigmatic Norbert Vines, whose pitch turns out to be something akin to patriotism. Are these men precisely as they represent themselves? Is Angie Marsh who she says she is? Will Havana be as welcoming to John as promised? Secret agendas abound, but it all feels so mailed in.